The Rose/Summer Show will be held on Saturday 29th of June 2019. The online entry form can be found here (opens in a new page). 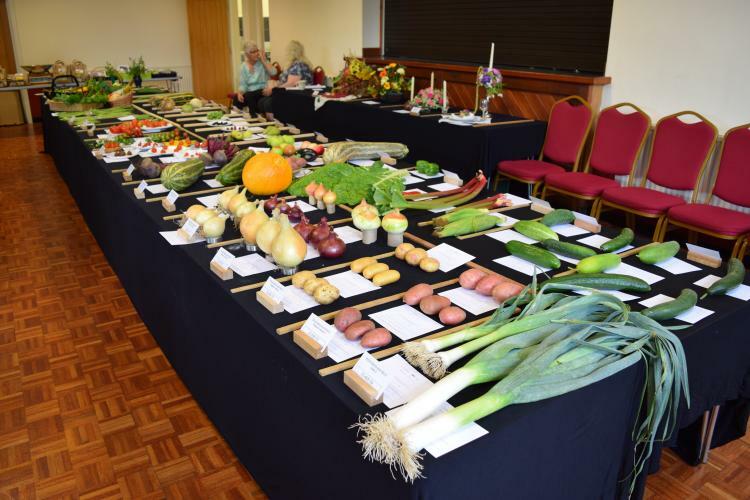 There will be three shows each year, with categories ranging from flowers to handicrafts. Only members of the Society can enter exhibits, but everyone is welcome to join on the day and enter the show. Membership is not neccessary to come and browse. We often have a small selection of plants for sale, depending on the time of year. There are floral art, cookery and handicraft entries to be enjoyed. Usually we have various stalls selling woodwork, hand-made cards, and other crafts. Shows are held in the Richmond Hall, Richmond Avenue, Benfleet, SS7 5HA. There is an admission charge of £1.00 per person, with entry for the public at 2:30pm.